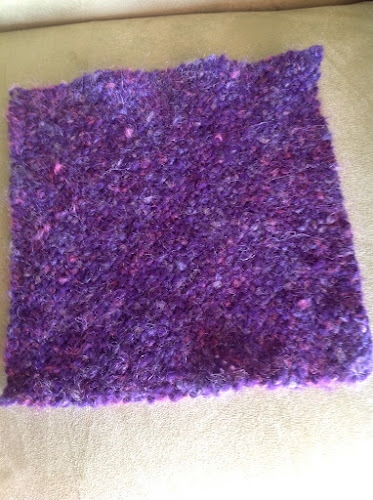 I have been weaving squares out of the purple cascade yarns 128. It is so easy to work with and gives a nice weave on my square loom. I decided to take a break and tray swatch of a different yarn. This swatch is from Filatura Di Crossa Fancy Felz. 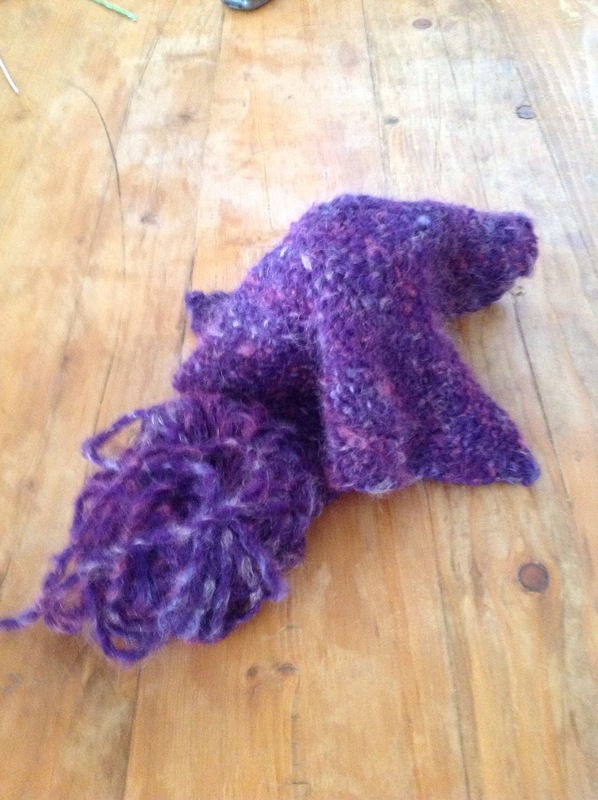 It is 46 percent Acrylic, 20 percent wool, 24 percent mohair and 1 percent Polyamide. This is a really fuzzy yarn. I had a some misgivings about it... But I love how the swatch turned out. I think on loom with half inch spacing this yarn would be fine. My spacing is 3/8 and it was a little tight but doable. Having a light background under the loom helped a lot it made it easier to see the yarn.